Spring is the perfect time of year to bring on some sunshiny giggles. It’s so much fun when Mom gets to be the reason for all the laughing. you get to be the funny one. There are a lot of fun ways to use these springtime jokes. Include them in your little one’s lunch box, keep them handy for when you are waiting in line or lighten the mood when the day starts to get a little tense. Why did the farmer plant a seed in his pond? – He was trying to grow a water-melon. What do you call a grizzly bear caught in the rain? – A drizzly bear. Do bees fly in the rain? – Not without their yellow jackets. Why couldn’t the flower ride it’s bike? – It lost its petals. Why did the worm cross the ruler? – To become an inchworm. Why did the Easter bunny hide? – He was a little chicken. Why can’t you tease egg whites? – They can’t take a yolk. Why do hens lay eggs? – If they dropped them, they’d break. How does a bee brush its hair? – With its honeycomb. 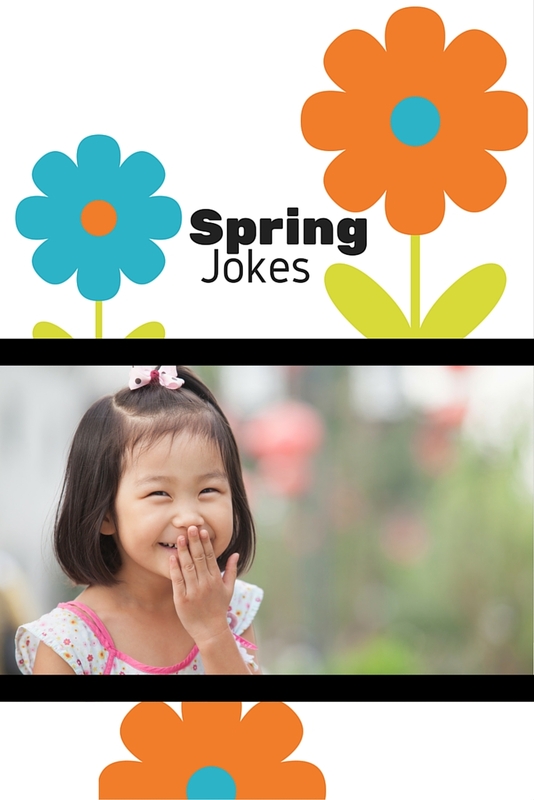 Do you have a favorite spring joke? Share it in the comment section! Check out our collection of printable jokes! Once you start sharing the laughs, you’ll never want to stop. Get all 31 Spring Jokes sent straight to you!